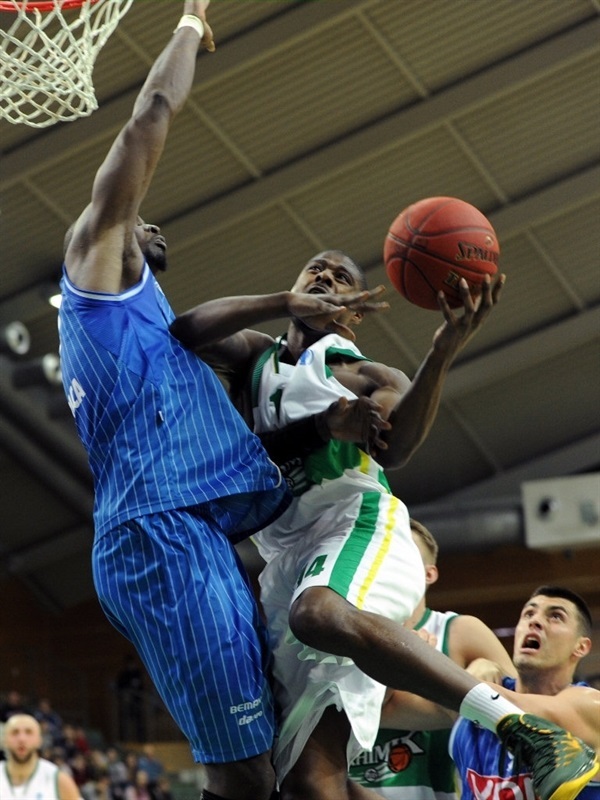 Khimik Yuzhne held off Buducnost Voli 84-76 to retain a share of first place in Group F. Rolands Freimanis scored 10 of his 17 points in the third quarter to keep Khimik alive and Matt Gatens also scored 17 in addition to 8 rebounds for the hosts, who improved to 4-1 in Group F. Buducnost took charge early behind Aleksandar Capin and led by 11 after one quarter. 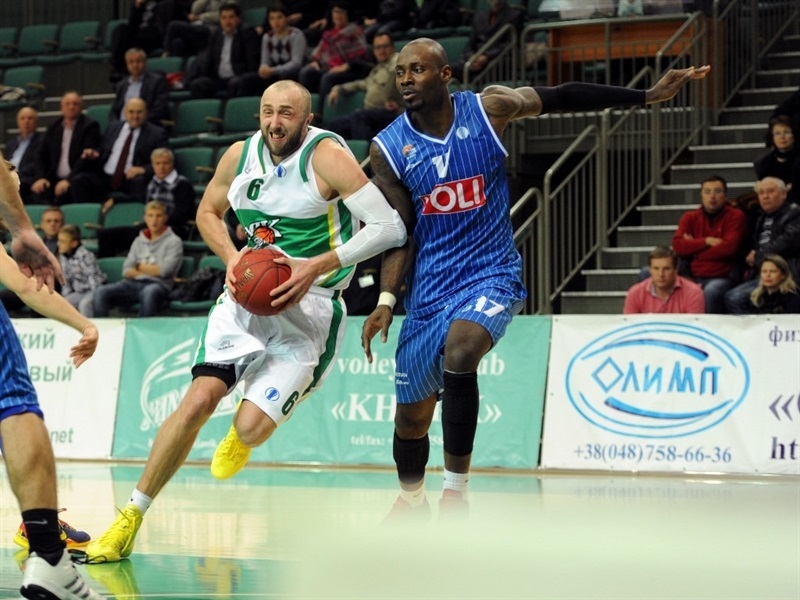 Khimik closed within 5 at halftime and 4 through three quarters before Khimik took charge in the fourth quarter. Jamal Shuler added 14 points and 5 assists for the winners, Vitaliy Kovalenko scored 13 and Paul Delaney finished with 10 points and 6 assists. Capin paced Buducnost with 15 points and 7 assists, Cedomir Vitkovac netted 14, Suad Sehovic posted 13 points and 7 rebounds and Jeleel Akindele scored 11 as Buducnost dropped to 2-3 and fourth place in the group. Baskets by Aleksa Popovic and Akindele gave Buducnost an early lead before Capin cued a 0-10 run with a pair of threes and an assist to Sehovic, which boosted the Montenegrin champs’ lead to 8-21. Capin’s third three made it 15-26 through 10 minutes. A Gatens steal and slam and a Vitaliy Kovalenko triple helped close the gap to 22-28 early in the second quarter. A three by Freimanis brought Khimik within 5. A Capin steal led to a Sehovic basket-plus-foul to keep Buducnost in control, however Gatens and Romeo Travis kept the hosts alive, 38-43, at halftime. Vitkovac scored twice at the start of the second half to boost the visitors, but soon Freimanis closed the gap to 47-51. 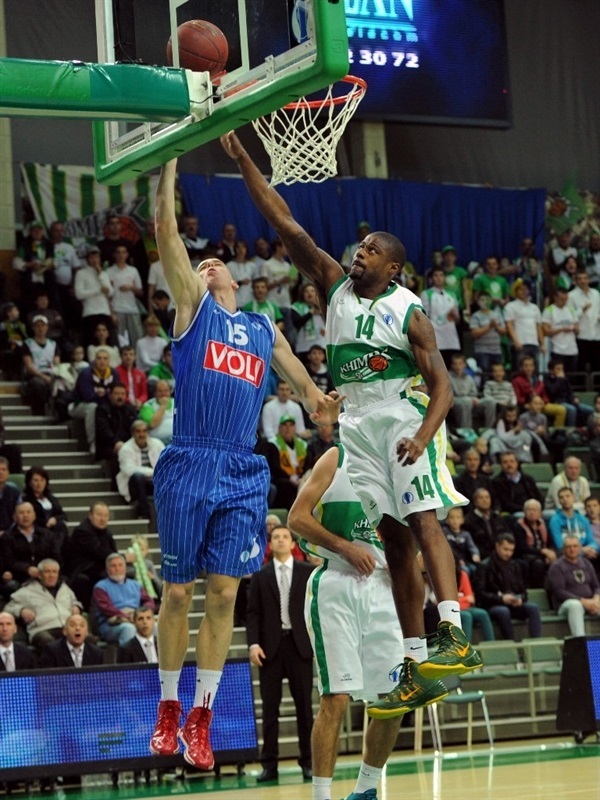 Vitkovac continued to fuel Buducnost, but Freimanis seemed to always have an answer. 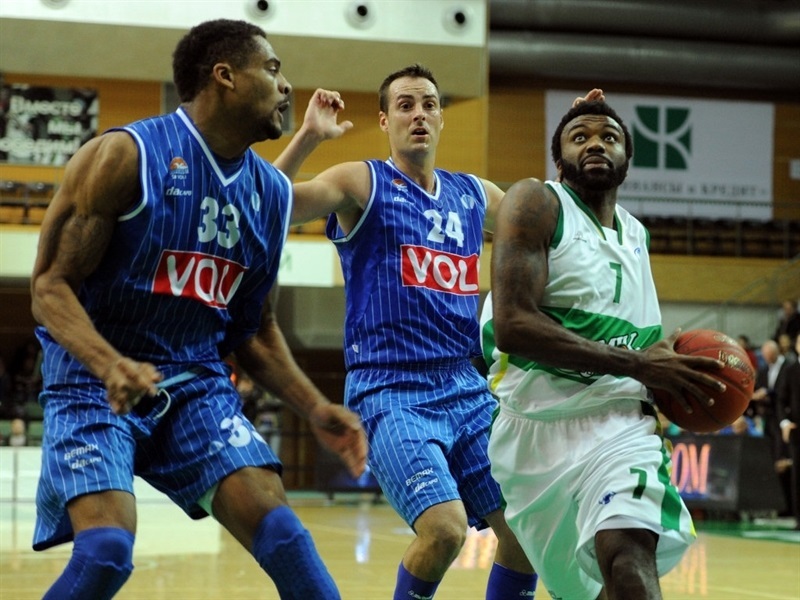 The teams entered the fourth quarter with Buducnost up 58-62. Travis, with a steal and layup, tied the game at 63-63. And Kovalenko put Khimik ahead for the first time since the opening minutes. Gatens added free throws and Shuler sank a three as part of an 8-0 run that made it 72-65. Milos Komatina hit back with a three-point play and Akindele closed the gap to 75-72 with three minutes to go. However 7 straight Khimik points – 5 of them by Delaney – iced the game with time to spare.